Greetings, lords and ladies! 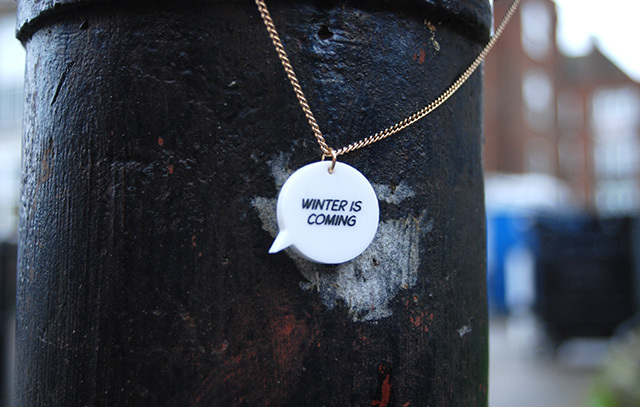 In honour of the long awaited return of Game of Thrones, House Devine presents to you a series of bespoke necklaces. 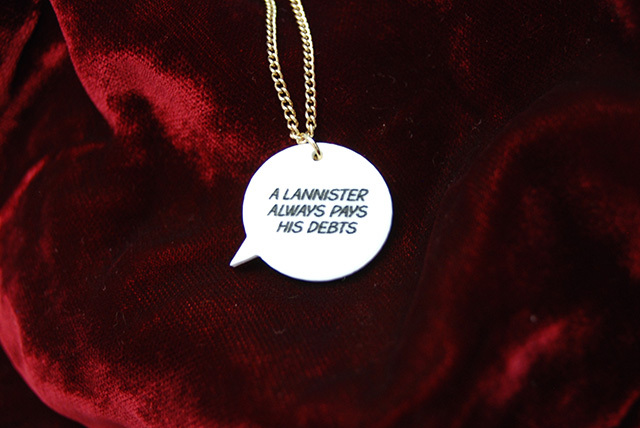 Whether you serve the Baratheons or Targaryens, Starks or Tyrells, be inspired to wear your house motto close to your heart. We promise, you won't see finer in all of Westeros... Gather your dragons and prepare to take what's yours with fire and blood... 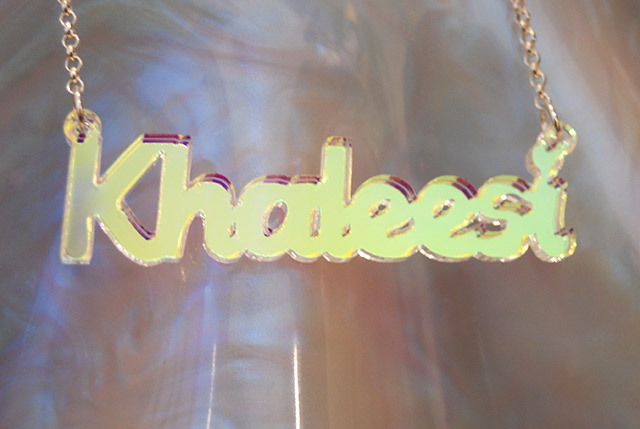 Choose Shimmer Perspex, Sundae font and a silver chain for the ultimate tribute to Daenerys. "We don't kneel for anyone beyond The Wall." 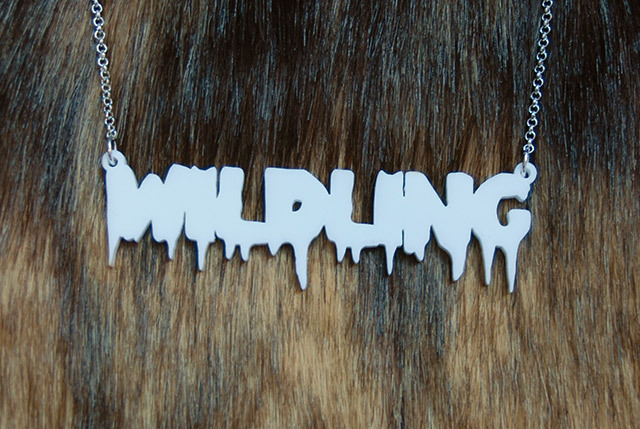 Channel Ygritte with icicle White Perspex, Bloody font and a silver chain. 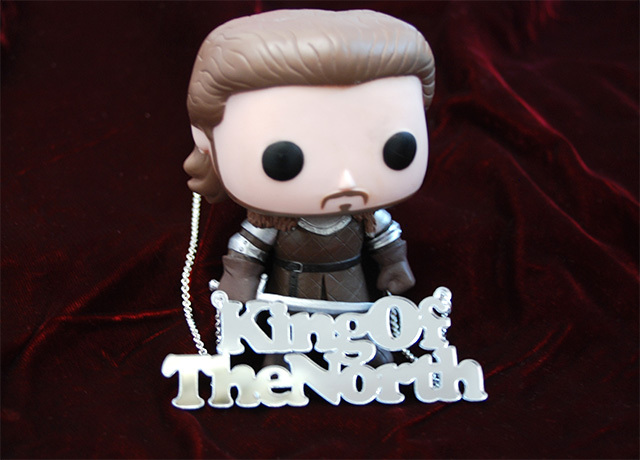 Choose Mirror Silver, Ladybug font and a silver chain to honour the true ruler of the North, Robb Stark. Contact House Devine's craftswomen on 02077399009 to commission a similar style across two lines. "Hodor. Hodor, hodor." Beware, Arya Stark is bent on revenge... "Hear me roar." 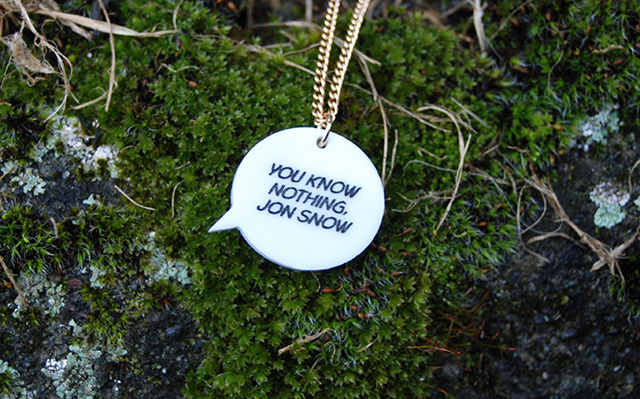 Keep your direwolf close and prepare to defend Winterfell... 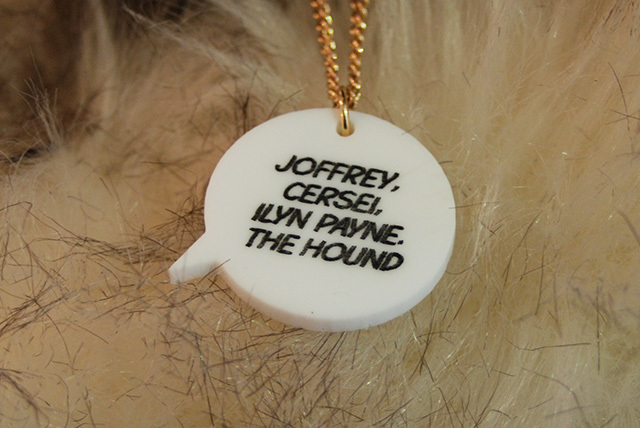 Pledge your alliegence to King Joffrey with your very own bespoke Name Necklace. Taking the black? 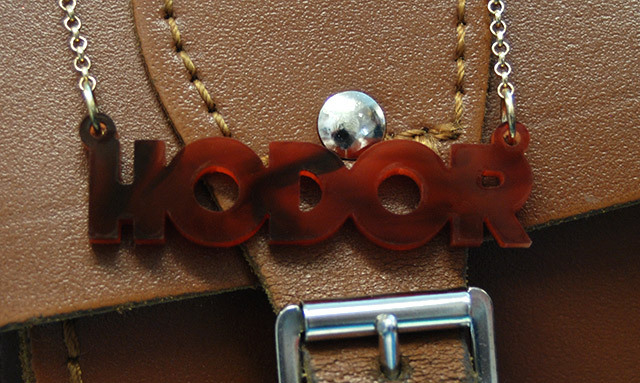 Wear your most precious oath as a Speech Bubble Necklace lest you ever think of straying... Don't forget to spread the word of your dedication via the kingdom's many messengers and artists. Valar Morghulis.